Description The White House burned down in 1904. Negative with photo; negative envelope says: Wht House; Film. 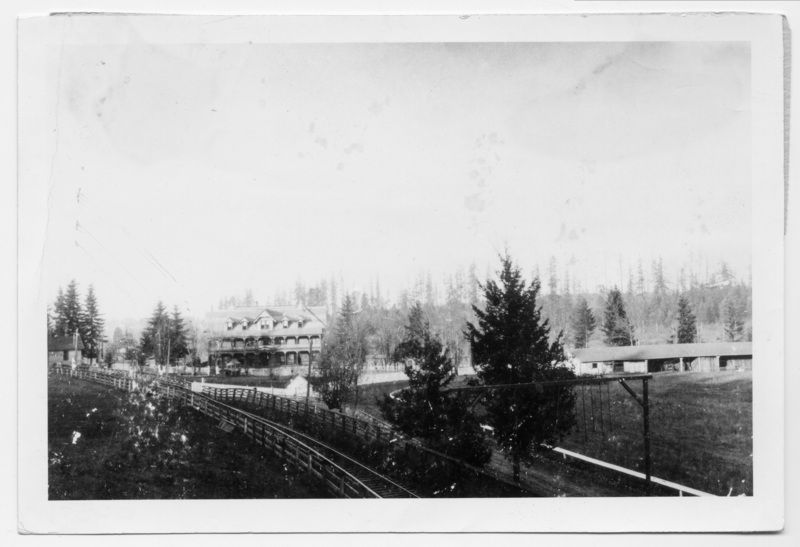 The White House hotel and racetrack operated in the Dunthorpe/Riverwood area until it was claimed by fire.